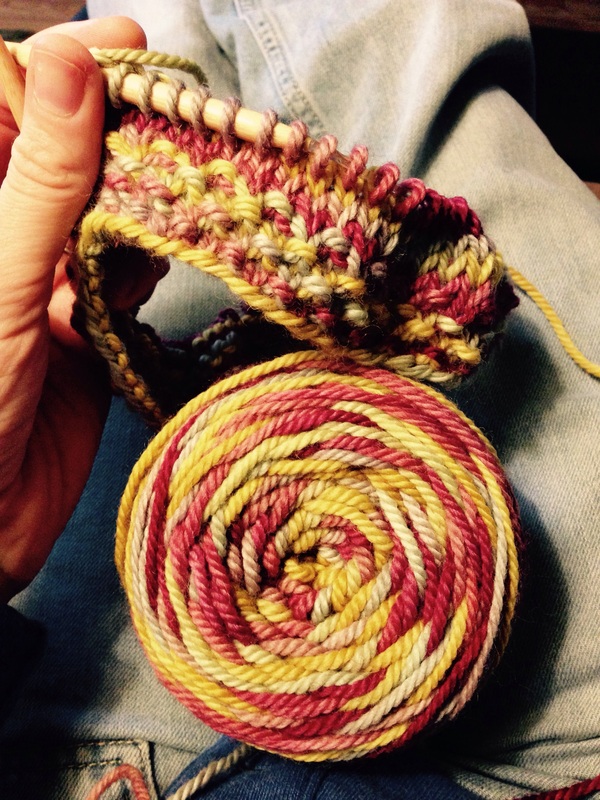 I love this colorway by Fleece Artist called Sugar Plum. Making up this cowl as I go along. A little seed stitch, and a bit of garter stitch, we’ll see how it turns out. I JUST adore Fleece Artist! We carry it at the LYS I work at and I have quite a bit stashed. It’s so wonderful to work with.